“To vagabond,” i.e. “to rove around classrooms where one does not belong,” has entered the undergraduate vernacular. The Bulletin reports a noticeable increase in the practice during the fall, in part because Crimson editors have begun printing daily lists of lectures deemed to be of general interest. Thirty-nine members of the Harvard Auxiliary Fire Department, organized to supplement the regular Cambridge department in case of fire from enemy air attack, receive their badges at a special dinner with University officials and Cambridge firemen. The Band expresses student opinion on a suitable World War II memorial by spelling out “Harvard Needs a Student Activity Center” during half time at the Princeton game. Oliver Bolton ’39 (R-Ohio) is elected to Congress, joining his mother, Frances Payne Bolton (re-elected for a seventh term), as the first mother-and-son representatives in U.S. history. Harvard Student Agencies Inc. has been chartered as a private nonprofit Massachusetts corporation. HAS plans to work closely with Harvard financial-aid officers to assist needy students by encouraging and helping to organize student-conducted business enterprises. A bequest from bacteriologist and immunologist William A. Hinton ’05, M.D. ’12, Harvard’s first black professor, has set up a Dwight D. Eisenhower Scholarship Fund for graduate students, to recognize that administration’s accomplishments toward acceptance of the principle of equal opportunity for all. Meeting at Harvard, the National Association of Graduate School Deans unanimously proposes scrapping existing selective-service laws in favor of a lottery. 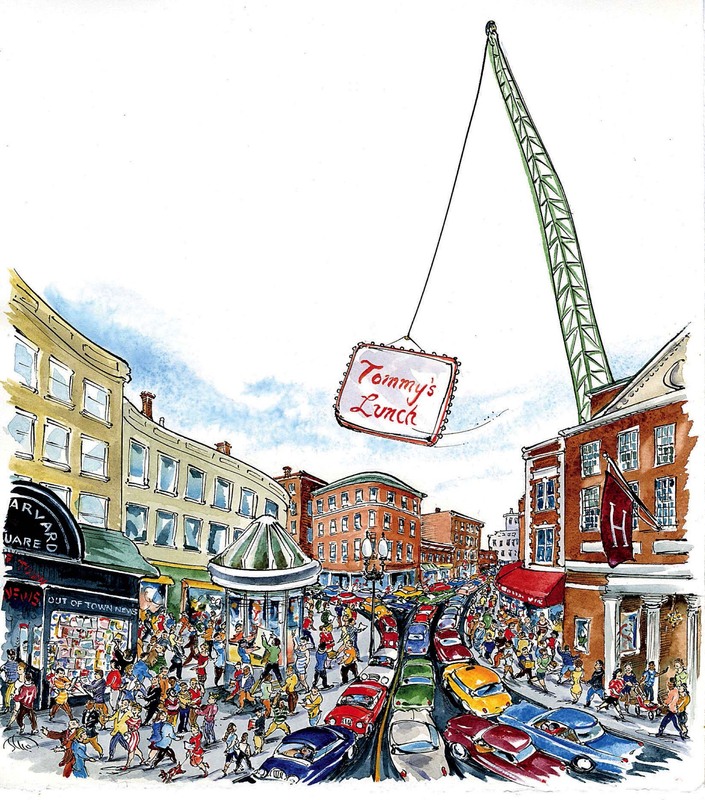 Tommy’s Lunch, “a Mount Auburn hangout for generations of Harvardians,” closes its doors on Thanksgiving weekend, without fanfare, after 35 years of feeding hungry undergraduates.